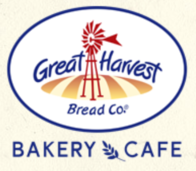 Interested in a job at Great Harvest Bread Co? Occassionally we have job openings and you are welcome to apply. To qualify, applicants must be energetic, have a personality, appreciate good bread, good tunes, casual environment and enjoy working with people. We work hard making and selling fresh baked bread and goodies but have a good time doing it! 5608 W. Fairview Avenue in Boise anytime.